We are makers, thinkers, inventors and we are looking for employees who can creatively contribute to our projects and drive them forward. Our work together is firmly based on the RAMPF values and personalized support, because our employees are important to us. Whether it is their health, work-life balance, or training opportunities, our employees do more than just a job – they shape your future. This was how company founder Rudolf Rampf turned a one-man show into an internationally renowned leader in technology within a very short period of time. The secrets of our success are reactive resin systems and their applications, plus the application technology, processing, and finally the recycling of these systems. 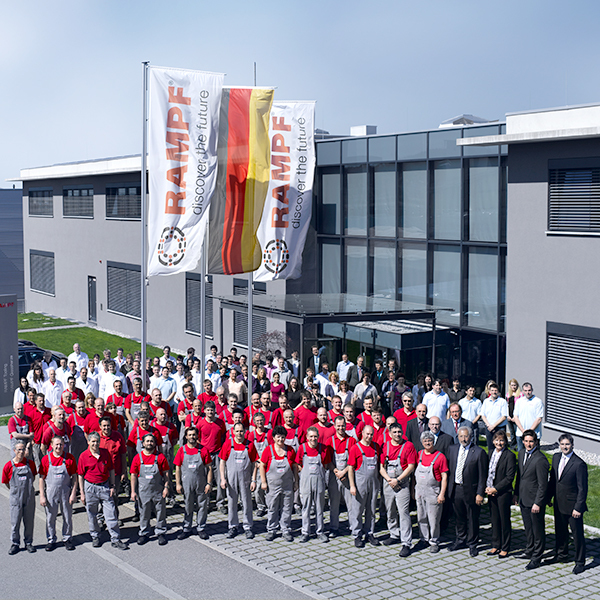 Right now, more than 900 employees are working on expanding the RAMPF success story all over the world.